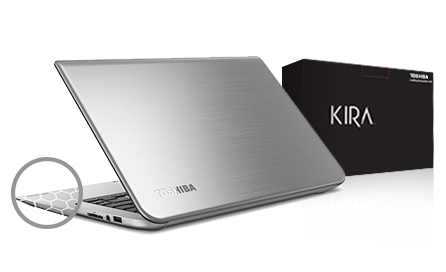 Toshiba KIRA-107 13.3" Touchscreen Laptop Intel Core i7-5500U 8GB RAM 256GB SSD. Experience the precision of the PixelPure Display, perfectly color-calibrated with stunning 2560x1440 native resolution. Utilizing 3.7* million pixels for brilliant clarity, and 90% better resolution than standard HD displays. A picture so beautiful you wont be able to take your eyesor your handsoff of it. Our designers drew inspiration from one of nature's strongest structures, the rigid and efficient reinforcement of the honeycomb. The hexagon core is an elegant solution that creates balance in design by effectively adding strength without additional weight. 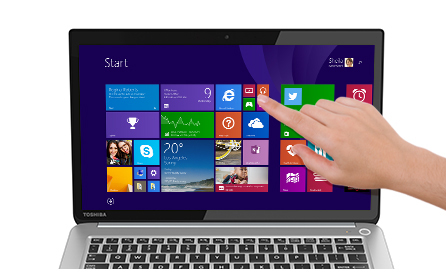 KIRAbook has an optional fingerprint-resistant touchscreen that is perfectly paired with the intuitive nature of Windows 8.1 Professional Housed under Corning® Concore Glass, it's a touchscreen without tradeoffs. Be immersed in sound with the superior craftsmanship and sound quality of Harman Kardon® stereo speakers. DTS Studio Sound submerges you in natural tones and bass to create a rich symphonic audio experience. 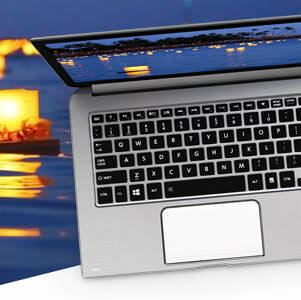 Introducing AZ91, the pressed magnesium alloy that makes KIRAbook light, durable and elegant. This material is over 100% stronger than the A6063 aluminum alloy used in the MacBook Air® and proves once and for all there is beauty in strength. Our design team had but one goal: create an easy-to-open hinge that was strong enough to minimize touchscreen bounce back. All so you can tap, pinch and swipe to your heart's content. Classic design demands the removal of what's not necessary. 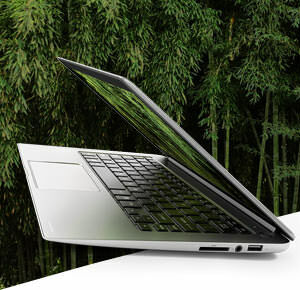 So we started with rounding out any hard edges, crafting the KIRAbook to fit comfortably in hand. 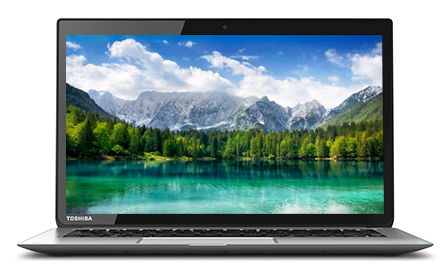 We also redistributed and reduced the weight to start at 2.6 lbs and lowered the profile to a sleek 0.7", giving the KIRAbook an airy look and feel not found anywhere else. 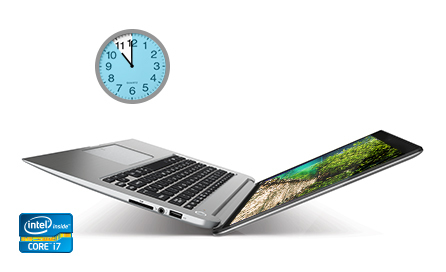 We equipped the KIRAbook with a high-performance battery that has a long life rating. Work doesn't stop when the sun goes down, so we thoughtfully designed a frameless LED backlit keyboard to increase usability in low light situations. Making it easier to work, or play, until the sun comes up again. 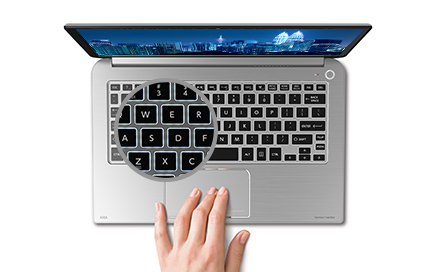 Air Flow II technology pairs a high performance fan with multi-directional ventilation design, keeping the KIRAbook running cooler for longer even if things at work are heating up.